The *All Star* is a very versatile scale. With its large stainless steel, platform you can weigh buckets, boxes, bulk herbs, etc. 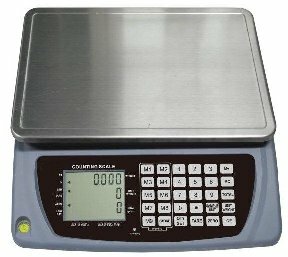 That’s just the tip of the iceberg with this scale…..it will weigh 110 lbs (50kg) with an amazing accuracy of 0.08 oz. (2.25g). That’s still not all; it is a counting scale with 9 memory functions!